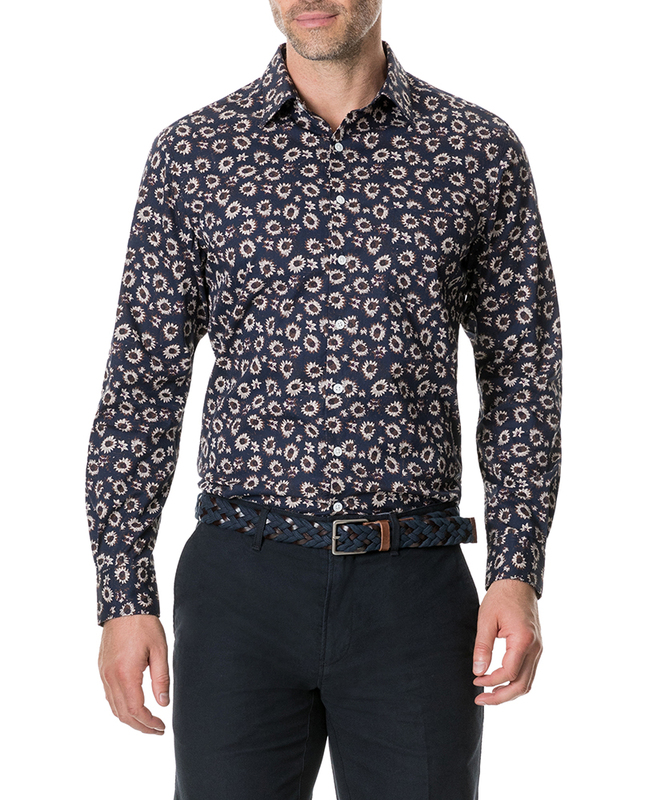 A long sleeve shirt patterned with a sunflower print. Cut in our sports fit from an Italian twill finished with a softly peached surface. Finished with a point collar, spade chest pocket, chest pocket and mother-of-pearl buttons. Crafted by hand in Tuscany, Italy the Marsden Wharf shoe exemplifies the talents of this artisanal locality. A Derby design made from genuine Italian leather with four eyelets and vamp stitch detail, the shoe is finished with a luxurious leather outsole with a rubber insert for longevity.